Serving Your Commercial Door Needs! Collaborate with some of the nation’s most renowned window and door manufacturers in order to bring you the highest quality contemporary designs and heavy-duty products. Bring you products that are appropriately suited for commercial applications and multi-story structures requiring high design pressures. Offer non-corrosive, specially designed materials that will stand up to Florida’s challenging climate of high temperatures, salt, and moisture. Offer an exclusive door with a ventilation window that still provides high-impact protection. Our top-quality product lines combine style with performance to meet the needs of the most discerning builder. We have our own in-house window and door design professionals who are available to meet with you one-on-one to help with planning your project. We’ll listen carefully to your needs, will work with you to meet your goals, and will watch over your project every step of the way. 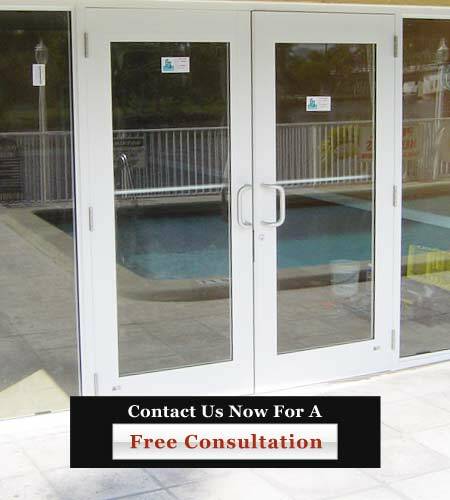 Call Gold Coast Windows & Doors today at 954-714-6800 or contact us online now for an in-depth consultation on your commercial door project.